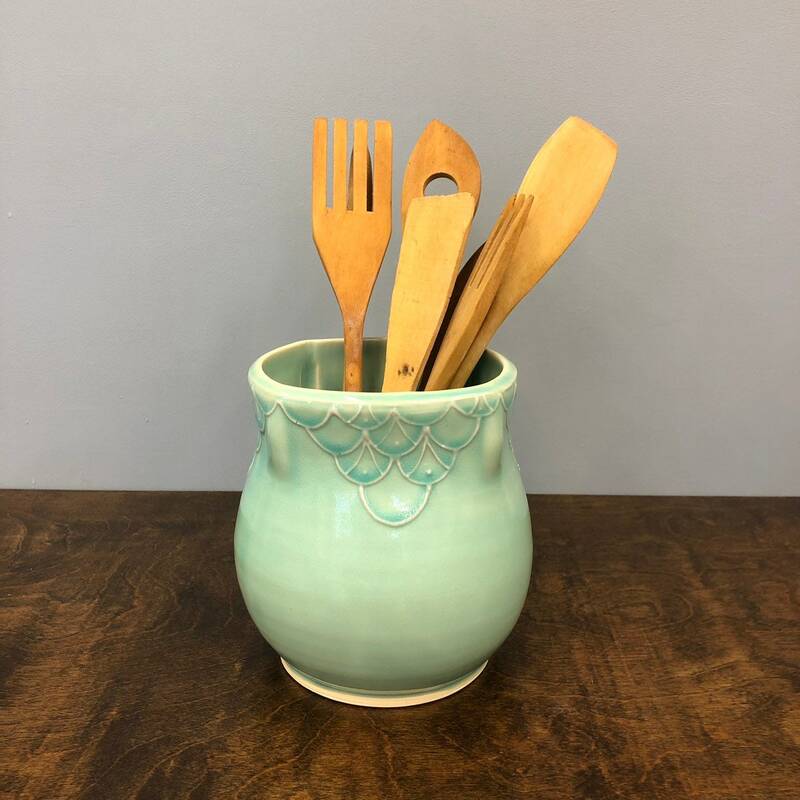 Handmade utensil holder. Perfect for spoons, whisks, spatulas, etc. Decorated with slip trail deco in mermaid pattern.